Next in the family are Nan and Pop. I hadn’t drawn Nan or Pop at all in the three years between The Last Viking and The Last Viking Returns, so it was back to the drawing board to learn them again. These are my sketches and notes. Categories: Character development, illustration, roughs, The Last Viking 2 | Tags: character design, family characters, Fremantle Press, James Foley, nan, Norman Jorgensen, pop, rough sketches, The Last Viking Returns | Permalink. Next up in the family are the twins. The twins only appeared once in The Last Viking – on the very last page. I didn’t give a lot of though to their design. I didn’t think I’d need to draw them more than once. I was wrong. Norm has fleshed out their personalities in The Last Viking Returns. It turns out the twins are not all sweetness and light – they are berzerkers in the making. I needed to refine their appearance, make them look a bit older and cheekier, and practice them before trying to do any final artwork. Point to note: the twins have never been officially named. I’ve been referring to them as Timothy and Tabitha (which aren’t very Viking-like, but to be honest neither is Josh). Have you got some names in mind? Give us your best ideas in the comments. Categories: Character development, illustration, roughs, The Last Viking 2 | Tags: character design, family characters, Fremantle Press, James Foley, Josh, Knut, Norman Jorgensen, rough sketches, The Last Viking Returns, the twins | Permalink. Next up in the family is Wolverine, Josh’s faithful companion. As with the character of Josh, I’d already illustrated a whole book with Wolverine before, but I hadn’t drawn him very much at all in the 3 year gap in between. I needed to practice drawing him again. 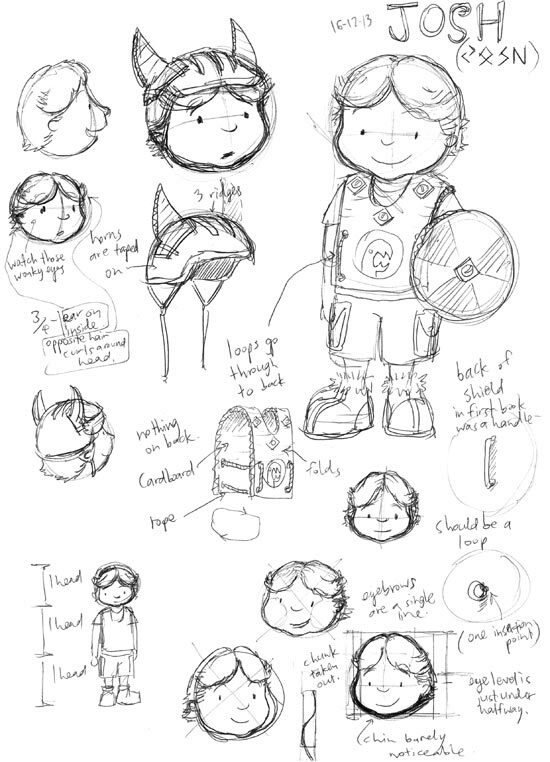 Categories: Character development, illustration, roughs, The Last Viking 2 | Tags: character design, family characters, Fremantle Press, James Foley, Josh, Knut, Norman Jorgensen, rough sketches, The Last Viking Returns, Wolverine | Permalink. 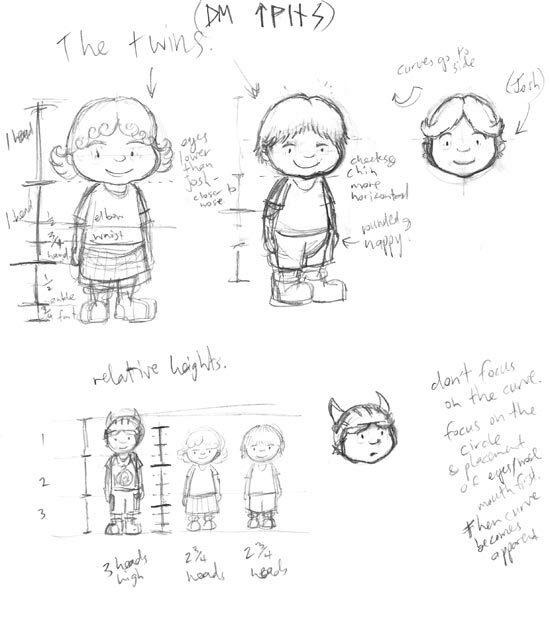 Between now and the launch of The Last Viking Returns (Sept 1st, 2014), I’m going to do a series of posts showing my rough sketches for all the characters in the book. I’m starting with the family characters. First up is our main man Josh. Even though I’d illustrated a whole book with him before, it had been almost 3 years since I’d drawn him regularly. I wanted to feel more confident at drawing him consistently, so I sat down and worked out how to draw him again. These are my sketches and notes. 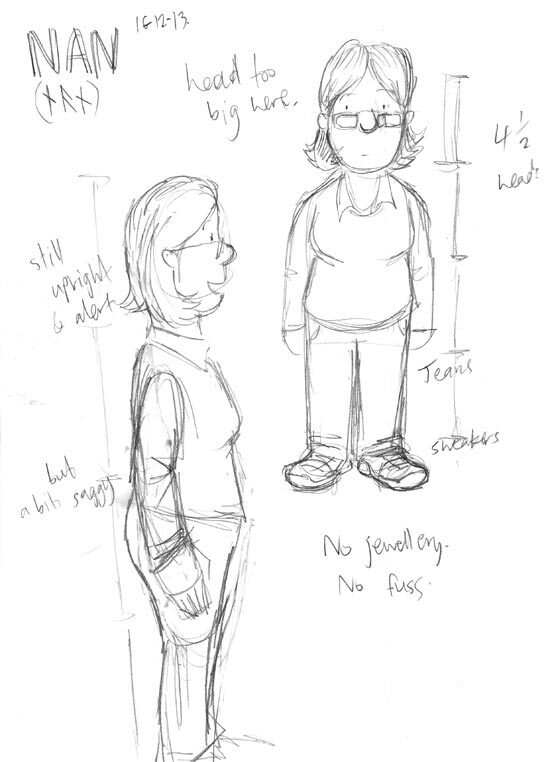 Categories: Character development, illustration, roughs, The Last Viking 2 | Tags: character design, family characters, Fremantle Press, James Foley, Josh, Knut, Norman Jorgensen, rough sketches, The Last Viking Returns | Permalink.